Traitwise: The online survey tool for health and lifestyle research. 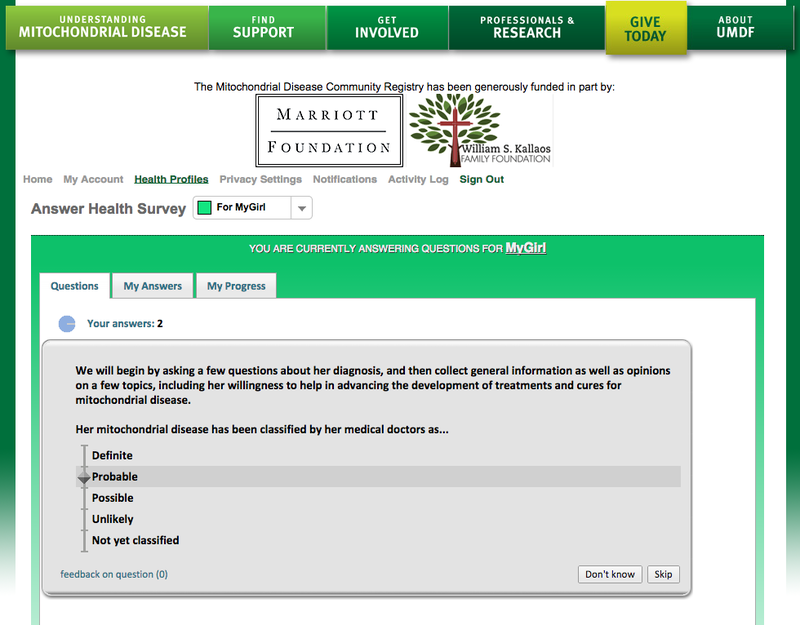 The survey tool for health and lifestyle. When you have more than five questions, you need engaging technology. We're better at collecting more data. A better user experience. More questions answered. Used by leading health advocacy and research organizations, Traitwise was built by scientists to address a clear need in health & lifestyle research for big data utilization. Although participation by Traitwise users is completely optional, our vision is to create a massive crowd-sourced phenotype database to augment accumulated chemical knowledge, and to help realize the promise of personalized medicine. Health and lifestyle researchers can opt-in to add their anonymized data from survey respondents to our database for ongoing correlation analysis. Traitwise uses interactive gaming paradigms to create the most engaging survey technology available. Our feedback mechanisms have been shown to engage respondents up to ten times as much as other leading online survey tools by creating feedback loops that show where your answer falls on the graph of all survey respondents. This combination of feedback, benchmarking, and anticipation are the primary reasons that Traitwise surveys have been praised as the best surveys ever, even addictive! Interactive survey technology U.S. Patent 9092799. Interaction and rewarding experience builds engagement. 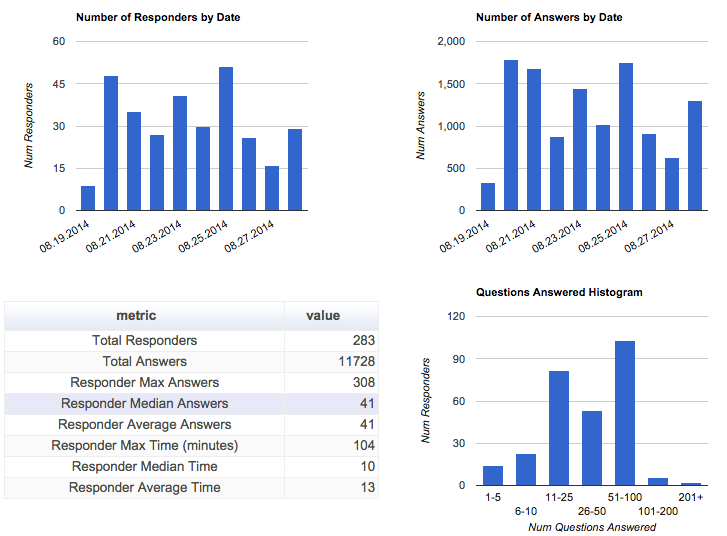 Engagement means your users, customers, or patients spend more time answering the questions you want answers to. Having learned about themselves during the survey process, people leave feeling good about the experience, and about you and your organization. And you can feel good too - whether or not you choose to lend your anonymized data to our vision, supporting Traitwise technology promotes the cause of furthering human wellness. Try it below and see why respondents report “It’s addictive!" Tabs are configurable. If you only want your survey to appear, that's easy too. 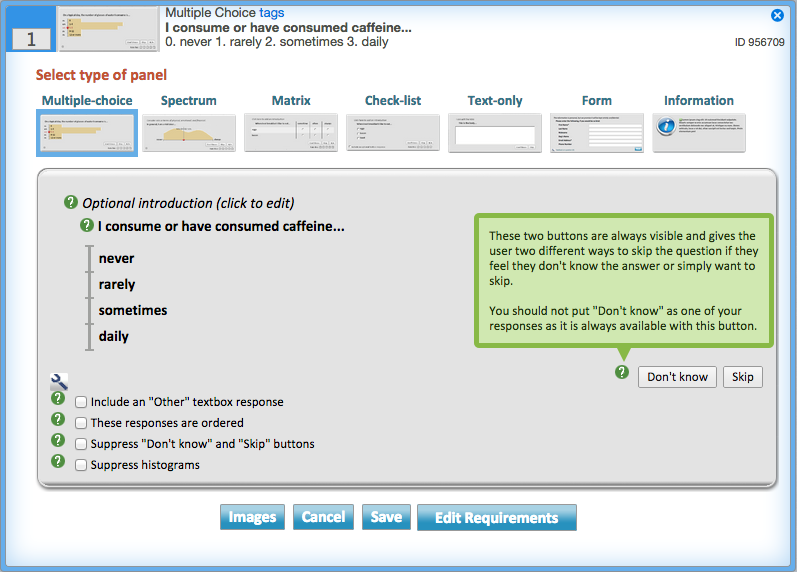 Powerful drag-n-drop features & pop-up tooltips allow you to create surveys quickly & easily. Additionally, support docs and video tutorials will make you a power user in no time. And, always feel free to give us a call or shoot us an email - we’re here to help. Multiple deployment options allow flexibility and speed. You can launch instantly by saving your launch and sharing a link, or embed your survey on your site with a small snippet of code, or create a fully integrated deployment using our secure API. Look at your data in the Traitwise reporting interface, including summary and question-level views with time and survey filters. Export your data in multiple formats, and import into your own tools for analysis. Or, access your data via our secure API for custom dashboards and web applications. Traitwise makes it easy to analyze, and gives you full control of your data. Choose a plan by its deployment option. Or, sign up for a free trial. No credit card required to try it!